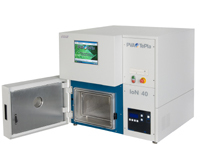 The IoN 40 is our latest advancement in vacuum plasma technology. 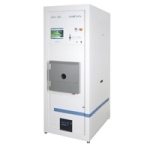 Gas plasma is fast becoming the technology of choice for surface modification of materials in the life sciences, electronic and industrial arenas due to its versatility and low impact to our environment. For example, the trend towards miniaturization in medical diagnostics requires precision cleaning, and selective chemical functionalization. Plasma removes organic contamination several orders of magnitude more efficiently than wet chemical processing and can chemically functionalize surfaces at the nano-scale. As a result, plasma is replacing older types of treatments that are no longer practical or economical. It is designed to meet the evolving demands of our customers, emphasizing versatility and control for their surface treatment needs. Its advanced features provide state of the art process control, fail-safe system alarms and data capturing software. This enables the system to meet stringent quality control programs in the Life Science industries. 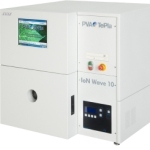 The IoN 40 uses radio frequency (RF) generated plasma in a compact, fully integrated package. 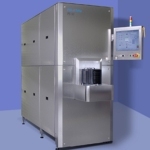 Its bench top design allows for easy installation in laboratory or production environments.